Have you ever wished you could make a LOCAL financial investment that has a solid $ rate of return AND reflects your values and interests in making Guelph a better place? 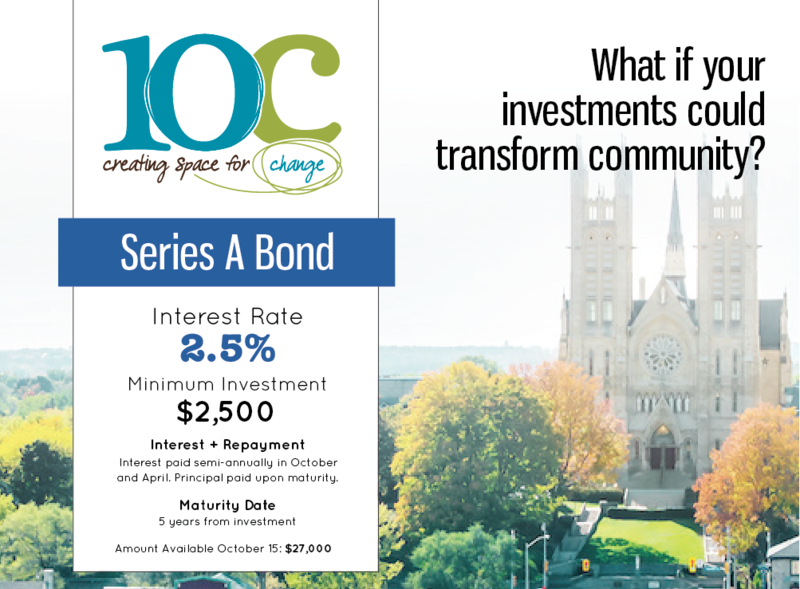 Learn more about 10C Community Bonds by reviewing our Community Bond Package (PDF) which includes the Bond Term Sheet. There are currently 2.5% asset-backed Series A bonds are available with a minimum investment of $2500. 10 Carden has been a leader in social innovation in Guelph since it was founded in 2009. To enable a physical expansion, 10 Carden is redeveloping the Acker’s Furniture building – and community bonds are part of the financing structure. The Acker’s building is being fully renovated with modern servicing and a new elevator. If you have questions about the bonds, please let us know. Follow-up can include an investment package, in-person meeting, or actual bond transaction. Series A bonds earn 2.5% interest and has a $2500 minimum investment. If you are ready to move forward with a bond, please let us know the name you'd like on the bond, and the amount below. The next steps to transacting a bond are to provide the NAME on the bond, the amount, and the date you'd like to meet to transact. Please select your ideal date to transact the bonds. Please select any date before September 30, 2018. We will have the paperwork ready, and will schedule a meeting time that works best for the date you note above. Many thanks to the Centre for Social Innovation for their national leadership in Community Bonds. For more information, visit www.communitybonds.ca.